Electronics Costs > How Much Does a Kindle Cost? The Kindle is the latest craze in handheld electronics. Although it has many functions, the Kindle is specifically designed for readers to be able to carry thousands of books in one small device. This electronic weighs less than a pound and offers a 6-inch reading area. This would be the perfect gift for the book-lover in your life. The original Kindle, which has a 6-inch reading area, can be purchased for $139. This Kindle has wifi capabilities but does not have a 3G wireless connection. The Kindle 2nd Generation, also with a 6-inch reading area, will cost around $50. This version of the Kindle has both wifi and 3G wireless connections. The Kindle DX boasts a 9.7-inch reading area and costs $200. It has the largest memory of all the Kindle versions and is also fully equipped with wi-fi and 3G wireless connections. The Kindle Touch 3G that allows the user to access 3G hot spots can retail for $50. The Kindle Fire retails for $199. This model has a color touchscreen, rich color display, fast dual-core processor and is very easy to use. The Kindle Paperwhite with a six-inch display, built-in light and wi-fi, retails for about $120 to $130. The Kindle Voyage, which has an adaptive front light and PagePress technology, retails for $200. The newer version, the Kindle Oasis, retails for $280 to $300. A power cord and charger will be sent with your Kindle to recharge the battery. The Kindle has a battery life of about 30 days if the wireless option is turned off. Software for your computer will allow you to hook up the Kindle to a computer and download books and other files. Some books are available for free download when you purchase a Kindle at the Kindle Store. The one unavoidable extra cost of the Kindle or Kindle DX is the cost of purchasing books for download. Downloading a book costs an average of $10, although some can be as expensive as $30. Books can be purchased via the Amazon store or other third-party websites such as OverDrive. Also available to Kindle users are subscriptions to newspapers, magazines, etc. These can cost anywhere from $5-$15 per month depending on the frequency of the issue and the popularity of the title. There are many cases designed not only for looks but also for protection. These can be found at the Kindle Store. There are many websites, such as Free e-books, that offer Kindle users many free titles for download. Kindle Unlimited, a relatively new service, offers a large number of books for a set monthly cost. This service will cost $9.99 per month and allows you to read as many books as you want with no due dates. The original Kindle has Wi-Fi capabilities, a 6″ screen, 2GB storage and weighs a pinch under 6 ounces. The Kindle Touch has a 6″ E Ink Pearl screen, 4GB capacity and offers the first touch screen for the Kindle. Equipped with a small keyboard, this model offers both Wi-Fi and 3G capabilities, 6″ screen, 4GB in terms of space and weighs a pinch under 9 ounces. The DX offers free 3G access for all users, has a 9.7″ screen, offers a 3-week battery life when wireless is off, as well as 4GB of storage. The newest model of the Kindle offers Wi-Fi access, a cloud-accelerated browser, 7″ vibrant color screen, 8GB of space and weighs approximately 14.6 ounces. It has a built-in adjust light with no screen glare. Implements the PagePress technology, which allows you to turn the page without pressing the button. 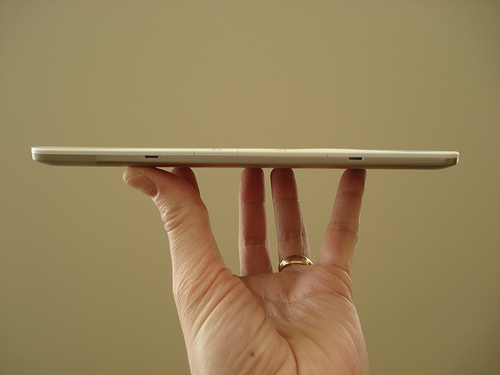 This is the thinnest and lightest Kindle available on the market and the longest battery life. The Kindle allows a user to do many things that you can do with a normal book. You can lend your books, rent them from the library and even have an author sign them at a signing event digitally. Talk with your local library, or even check out their website to see which books are offered to rent. These books can be downloaded digitally from their website and will be due back on the due date. The Kindle is more than just reading books. In fact, the newer Kindle such as the Fire allows the user to play movies, games and even check the weather on websites. The newer Kindle is very similar to the iPad in which you can download applications and more. Consider purchasing a Kindle with 3G access. This will allow you to access the 3G hotspots where you can access the web, download books and more without a contract. The Kindle can be purchased on Amazon.com; however, it may also be purchased via local office supply stores as well. The Nook uses an Android operating system, while the Kindle uses Linux. Most Kindles won’t have a memory slot whereas a Nook will. The Kindle and Nook differ in terms of file formats. For example, the Kindle can read Microsoft Word files, while the Nook can’t. While this isn’t set in stone, many experts find the Kindle to be faster and more user-friendly. You can purchase a refurbished Kindle for about 15% less than buying it new. These are available at Amazon. You can purchase a used Kindle for about 20-40% less than a new one. Also, consider purchasing the Kindle with ads. This type can be purchased new, but it’s going to have ads that display at the bottom during certain times. By purchasing the ads version, it can save you at least $20 to $30. If you subscribe to Amazon Prime, there are many books available to download at no charge. I purchased a new Kindle Paperwhite during the 2018 Prime Day sale. They offered a large discount, and on top of that, if you traded in an old kindle, Amazon gave a credit of at least $5, and an additional 25% discount on the price of the new Kindle. This really brought the price down, dropping it from $120 all the way down to less than $50. The kindle paperwhite is definitely worth it at $120, so this was a great price.